Spaßfaktor garantiert gebe meinen nicht mehr her! You're probably right. Ford even makes the Falcon in Australia. Its flagship sedans (Crown Vic and Taurus) are very popular in places like the Middle East, Australia, and America. The Taurus is a Falcon (not built on the same platform, though). I'm wondering if Ford will make a new Crown Victoria. IMO, there should be an Ecoboost V6 option (based on the Taurus and Lincoln MKS), and also the 450-500 horsepower 5.0-liter V8 engine based on the Mustang GT. For something more extreme there should be a 621 horsepower 6.0-liter V12 engine based on the Mercedes-Benz S65 AMG for the fastest Crown Victoria. Ford can also make the Fairlane off of Crown Victoria's body and sell it in Australia. I bet the new Crown Victoria will be Ford's answer to the Aston Martin Rapide, Audi A8, BMW 7 Series, Mercedes-Benz S-Class, Maserati Quattroporte, and Porsche Panamera. And yes, the Crown Victoria will be rear-wheel-drive. Anywhoo, As far as im concerned, Fords are Ford, Fords American, doesn't matter where there built or where there headquarters are. A bmw or Hyndai built in American is in No way American, A Camaro isn't Canadian to me. And that's what most people here believe. Id never call a Ford German same as id never call a Bmw American. Everyone whose not braindead would know that a Ford/Chevy/Chrysler is made in the U.S., not Germany (Audi/BMW/Mercedes/Volkswagen/Porsche daydream). Ford instead of his home country in America? sure that this isnt 4wd? 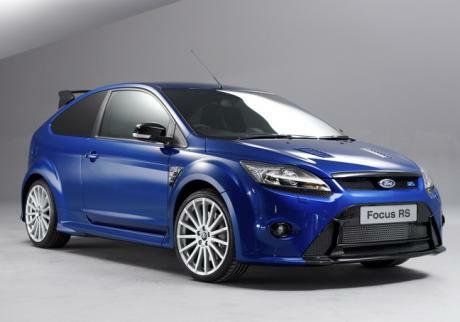 Man, when the Focus first came out, I thought it was one of the coolest sporty cars around. Then they just uglier and uglier. WTF? This one looks much better, but still not as good as the originals. 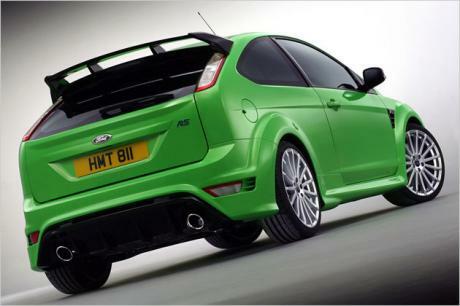 Probably the best hot hatch/muscle car EVER, although they do have ALOT of understeer which gets annoying after a while. @monkeypop I am sorry to hear that your friend has a 2009 model year Mustang rather than a newer one. Apparently Ford had a fair bit of work done on the suspension before releasing the freshened 2010 model. Car and Driver found that the 2010 GT was 7.6 seconds faster at the VIR raceway than the previous model. That is a big difference (3:13.3 versus 3:20.9). The engine was pretty much the same, only 15 hp more. Even the plain jane focus has IRS so I assume this would as well. I had a nissan maxima with a rear beam and it was terrible on our roads... much like my pals 09 mustang. Even our main highways in Arkansas have pushed up sections on the sides from tree roots which are a nightmare without irs. By the way, until I actually tested the new Mustang, I had no interest in a car with a live axle rear. I have driven and raced previous versions of the Mustang GT(mostly a 1994 owned by my father), and always thought it was let down by this primative rear suspension. Taking bumpy corners in Mustangs was always difficult and wet conditions were downright scary. I am not sure how Ford tuned out all the handling issues typical of live axle rear suspensions, but they have. So far in 4k miles of driving (frequently aggressive performance style driving on back roads), I have not been able to detect a hint of live axle dancing. I guess if potential customers only look at the data panel rather than test drive cars, they will avoid the \"primative\" Mustang GT. Hi monkeypop. Yes, I considered purchasing yet another Corvette. Even the newest C6 Corvettes have rather cheap feeling/looking plastic. The leather has gotten better, but is still somewhat thin. The seats still want to flop forward under hard braking. The features available are similar. Many standard features on the Corvette are options on the Mustang. The worst problem with the Corvette is still the lack of ground clearance. There is only three inches clearance below the air dam. It is difficult to use one as a daily driver without constantly scraping the underside on bumps, road crowns, slight depressions, etc. Reliability was also a bit less than ideal, but better than the XK8. I still like Corvettes, but not enough to buy another new one. \"It is better than Corvettes in interior accomadations.\"
Have you been in a recently built corvette. The vette has far more in the way of comforts than the mustang. 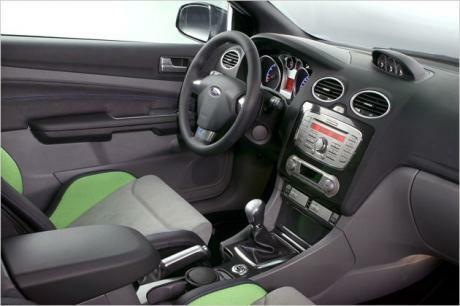 I dont doubt that the mustangs interior looks better.. but it certainly doenst have nearly as many features. So long as the mustang comes with a solid rear axle.. it wont be taken seriously in Europe. @monkeypop Yeah, even in the U.S. the Mustang has a reputation for being less than sophisticated. It is no longer deserved. It is better than Corvettes in interior accomadations. But the reputation endures. I agree that the M3 has a nicer interior, on the other hand my Jaguars had better interiors than the BMW. In fact I still own an XJ and its beautiful burled walnut and luxurious leather are much nicer than the M3s interior. Unfortunately my Jaguar is too old to use for commuting. I had a newer one (an XK8), but it was unreliable beyond belief. The new Mustang is quiet enough to be a GT and has a much better interior than my most recent Corvette (2002 model year). 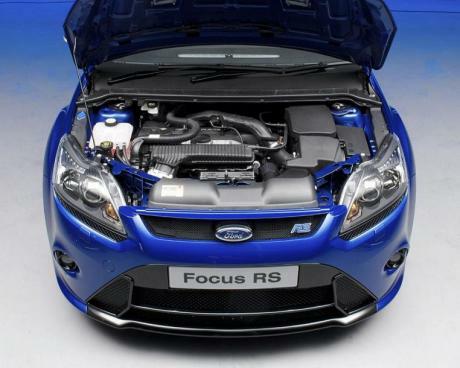 Since I haven't driven the Focus RS, how is it? Is it nice? I am not talking about handling or anything of the sort. In Europe the mustang is viewed as a prehistoric slush box with supension from a wagon.. weather that title is deserved or not it\'s why it isnt sold in Europe. A European that is considering a M3 isnt going to hop into a mustang and change their mind. The M3 is fast luxury.. the interior of the two cars couldnt be further apart. I really enjoy driving in Germany and really think that the German drivers are on average much, much better than typical American drivers. I feel much safer driving in Germany than in the U.S.. I also like driving in Ireland, the traffic is light and the roads are curvy. Of course the local Irish drivers are excellent on their tiny roads and make me work a bit to keep up. Fun to shift with my left hand, more challenging. @monkeypop Of course I meant no offense. Yes, I do visit Europe fairly often, and I realise that American designed cars don\'t rate as highly for handling and high speed stability as European cars. To a large extent this used to be justified. I have driven BMWs on the Autobahnen and been very impressed by their high speed competance. American cars in the past were not as good. Somehow that no longer seems to be the case. Even my 2002 Corvette was not nearly as buttoned down handling wise as the M3. The latest Mustangs are greatly improved in this respect. The interior is still not as good as BMW yet, but then again the price is much lower as well so I can\'t complain too much. I am actually a very skilled amateur competition driver. I also was going to purchase a BMW M3 this year. I test drove one and was very impressed, it was much better than my C5 Corvette in handling, and acceleration. The braking was about equal. One of my co-workers showed me the Motor Trend comparison test between the M3 and the Mustang 5.0. It really intrigued me since Randy Pobst the test driver was one of my instructors in a high performance driving school that I attended. So I test drove the new Mustang. The styling is less subtle, the seats are not as nice, and the instument panel not as interesting as the BMW. However the acceleration, brakes and handling were equal. I tried bumpy corners, off camber corners, decreasing radias corners, sharp transitions, everything, and never was able to detect a live axle rear. It shouldn\'t work as well as it does, but it really does handle just as well as the M3. Until you try one, you can\'t really comment adversely on its handling. The price was less than the M3 by about $30k U.S. dollars, so that is why I purchased the Mustang. If it hadn\'t proven itself to be the M3s equal in handling, I would have purchased the BMW. I am more interested in road course and back road handling than straight line acceleration. A car that has both is truly great. \"In fact the newer Mustangs with their improved handling are aiming for the BMW customers\"
I very seriously doubt the new mustang is going to sway any BMW M3 buyers lol. That just sounds crazy.. as if you have no idea what people from Europe think of the mustang. Very few mustangs would sell in Europe. The mustang is the typical muscle car with a solid rear axle that people across the pond make fun of. It might be a great car.. it just isnt for europe. @A156 I don't entirely agree, many of the U.S. Fords were designed partially or entirely by the Euro Ford people. Most of the time the U.S. gets a watered down version and/or previous generation. The U.S. Focus and new Fiesta come to mind, they are based on the Euro models, but are not quite as good. The Mustang 5.0 is U.S. designed and is marketed toward people who prefer rear drive and who are more concerned with performance than fuel economy. In fact the newer Mustangs with their improved handling are aiming for the BMW customers. So actually, I do agree with you for the most part. I was curious about what people in Europe thought regarding Ford and whether they would be interested in a Ford that is rather similar to BMWs M3. @ Viking. 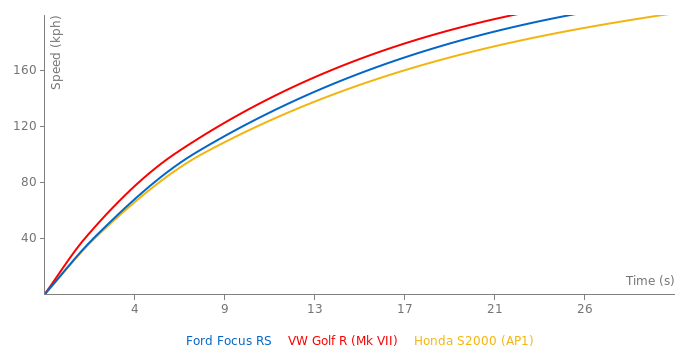 You can\'t compare Focus RS and Munstag 5.0 because they are different cars made by different people (US Ford share almost nothing with EU Ford), for different kind of customers. 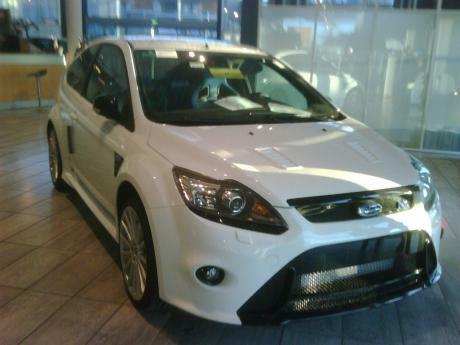 What about the rest of Europe, is this Focus RS Mk II the fastest currently available Ford? 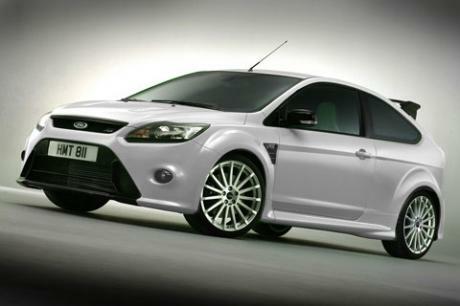 Is this car the fastest Ford currently available in the UK? It seems like a fine car, but I think that it is unfortunate that the Mustang 5.0 litre is unavailable. The 5.0 uses a lot more petrol, but is a lot faster and I am sorry that Ford enthusiasts outside the U.S. are not able to enjoy it. 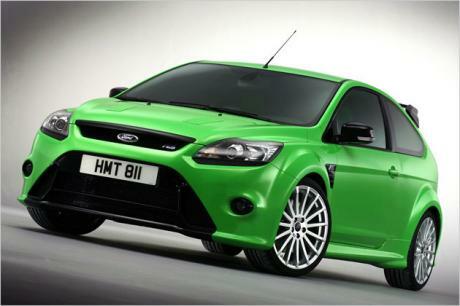 I would like to see how the Mustang 5.0 would sell compared to the Focus RS if it were available. 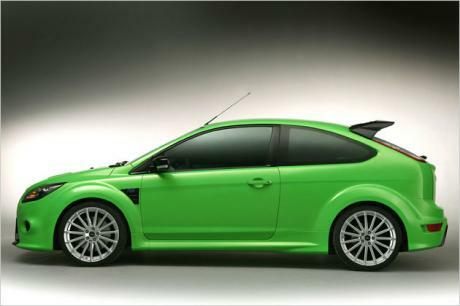 I would also like to see how it would compare on all the tracks that we have lap times for the Focus RS.